WENDY White tailors to your material needs and will spend hours, if she must, unpicking a wedding dress to get it perfect for a bride's big day. This is her way of showing what high-end customer service entails for her. Global research shows Australian service standards continue to decline for the third year in a row, with dissatisfaction growing among consumers, leading to lost sales at a time when many businesses are under pressure. Four in ten consumers believe Australian businesses miss their expectations, placing Australia second only to France. The Morning Bulletin put a message online asking members of the public if they were satisfied with local customer service. Many online subscribers were generally satisfied; however, some were a bit sour when it came to the bigger grocery chain stores. 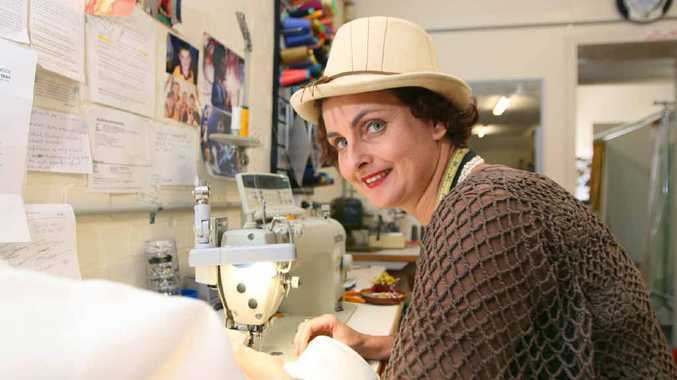 Wendy is the owner of Bush Buddies-Wendy White Millinery, a specialist shop that mends and hems gowns and suits. She admitted to spending hours on end unpicking lace on one bride's dress to create two straps for the gown. "When the customer sees the dress and says the work done on it looks beautiful, that is a sense of fulfilment," she said. Wendy works with a full-time assistant at her store, which is constantly booked out, she said. "Depending on the urgency of the job, I will call someone whose outfit I am working on and tell them an urgent job has come up and will work on that first."